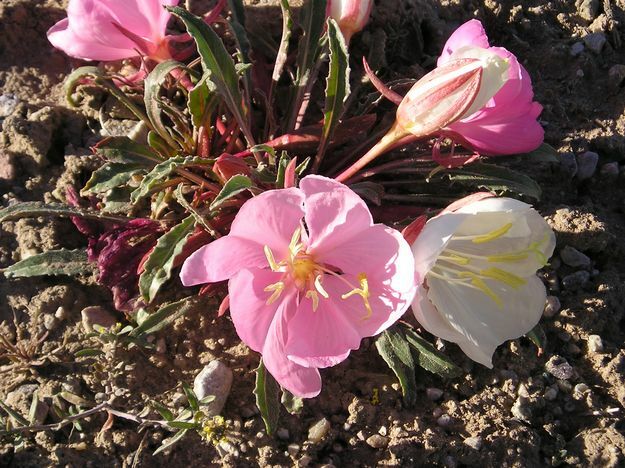 Find these showy, up to 4-inch-wide flowers along sandy banks and roadsides. Blooms begin white then turn pink with age. Always a wonderful surprise on evening or early morning walks.